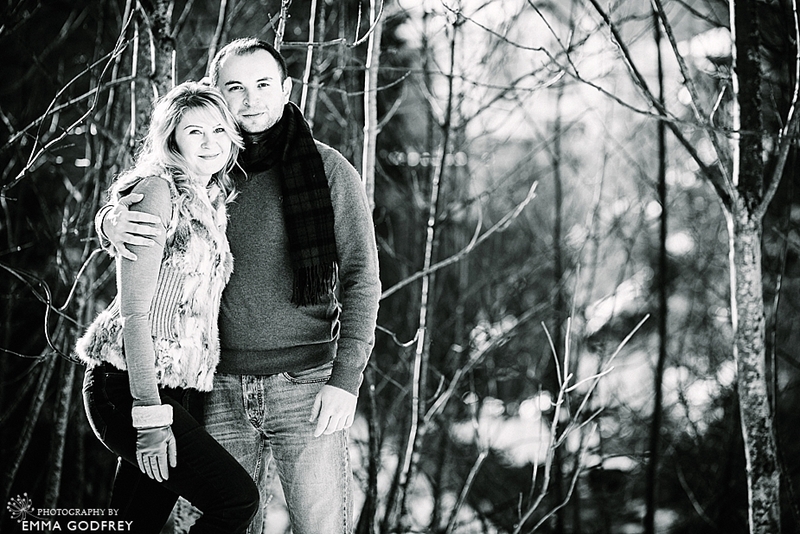 I love it when a couple make their pre wedding shoot really personal, especially for winter engagement pictures. Elena and Goran were spending New Year at Elena’s parents’ apartment in the alpine spa resort of Leukerbad and they asked me to meet them there to have some fun in the snow. 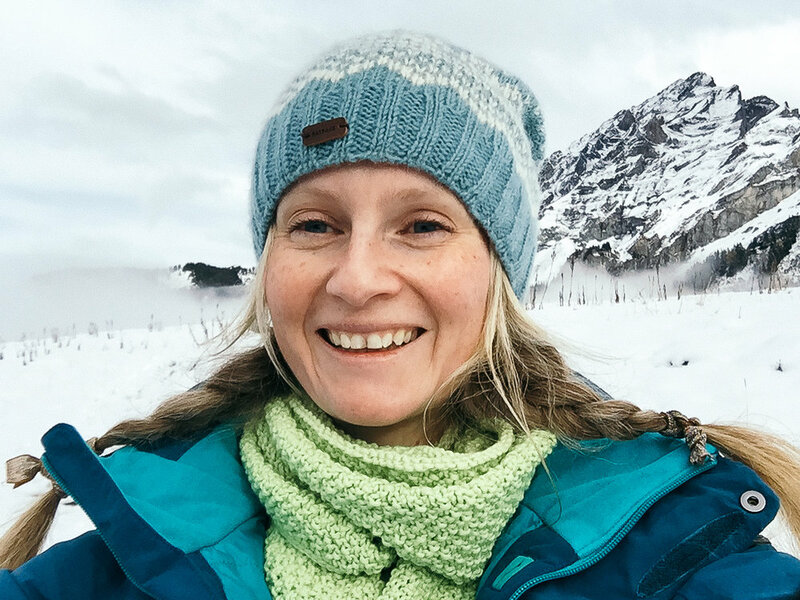 J and I took advantage of the morning to visit the thermal baths and then met up with the newly weds just a little out of town to go find the snow. The Leukerbad valley is very different to Villars-sur-Ollon, being more enclosed by the mountains. Happily Elena and Goran had taken my advice on board and had scouted out one of their favourite spots at just the perfect time of day for beautiful light. 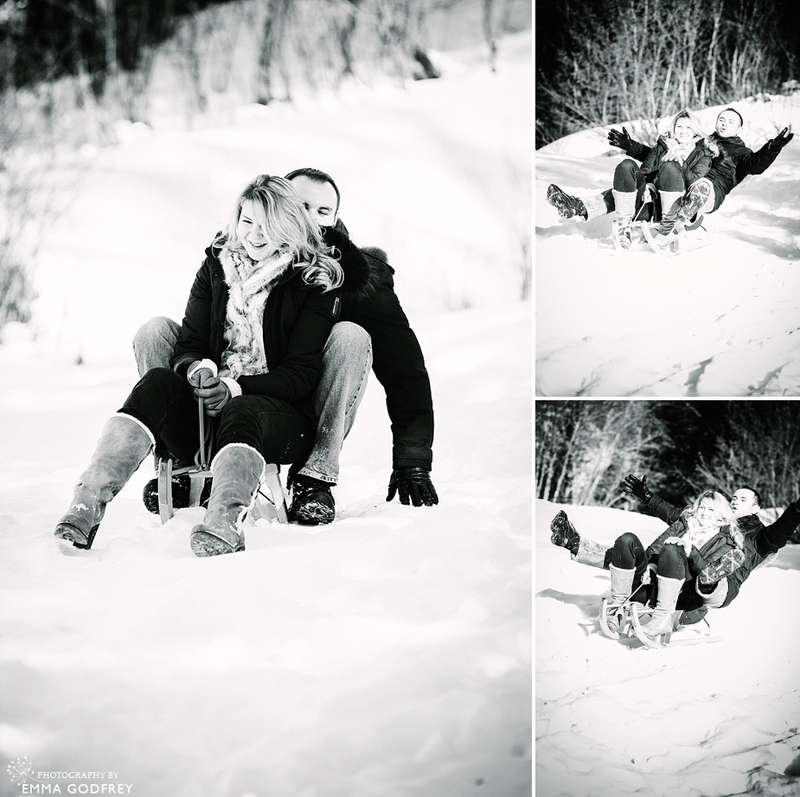 For their winter engagement photos, we started with some portraits before getting out the sledge for a couple of hair-raising runs. Pausing to catch our breath we took some time to capture the beauty of the mountains before heading into town for a few Alpine village shots as the sun set. I loved Elena’s style and the way that, helped by Goran’s infectious silly mood, the couple felt so quickly at ease in front of the camera. Although it was only the second time we’d met, it felt more like a photo shoot with friends than a professional engagement session. I’m looking forward to their summer wedding in Geneva already! If you would like more information on winter weddings or professional wedding photography in Switzerland and Europe, please get in touch for a brochure and to arrange a meeting.